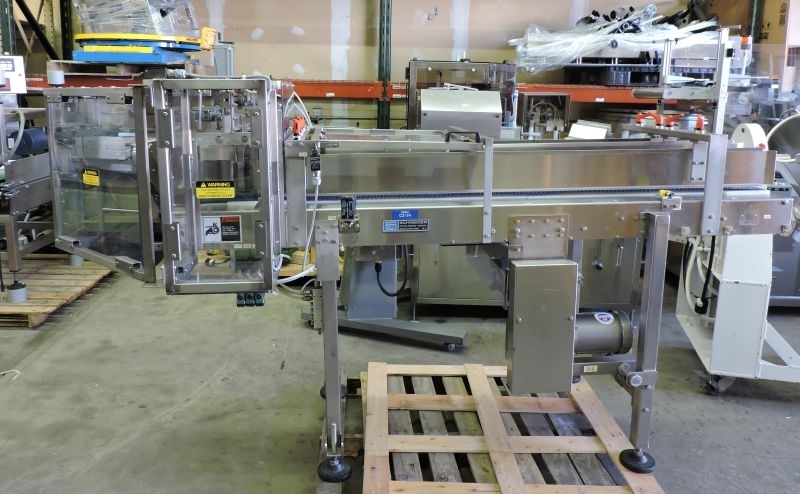 Used Pester Pewo-Pack Model 450 SN Bundler-Wrapper with Schneider infeed collator conveyor. 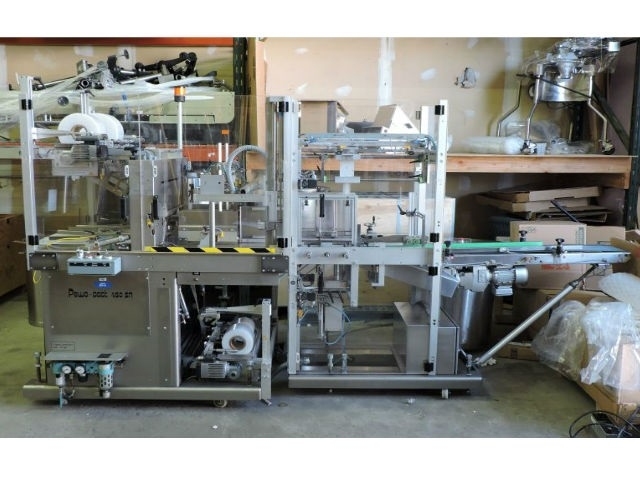 The PEWO-pack machine range has been designed for stretch banding of different types of collations such as cartons, stacks of paper, bottles, etc., single or multi-packs. 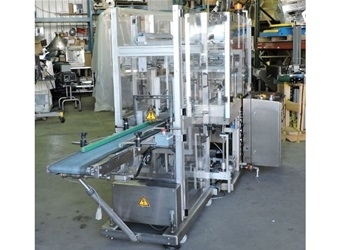 Low film consumption by the self-measuring film transport system; the patented film stretching system allows precise adjustment of the required film tightness. Servo drive technology enables optimization of all motions and functions. Parameters for product and size changes are stored and retrieved at the touch of a button. The machine is electro-pneumatically controlled for individual adjustment of each machine motion which guarantees safe product handling. DESIGN Compact and stable construction in modular style design. Separation of the drive and production units eliminates dust from the drive units and provides optimum access for all service and maintenance tasks. The modular style design allows easy cleaning of the machine. Machine construction from high-grade steel and aluminum, all surfaces are refined or of corrosion resistant material. 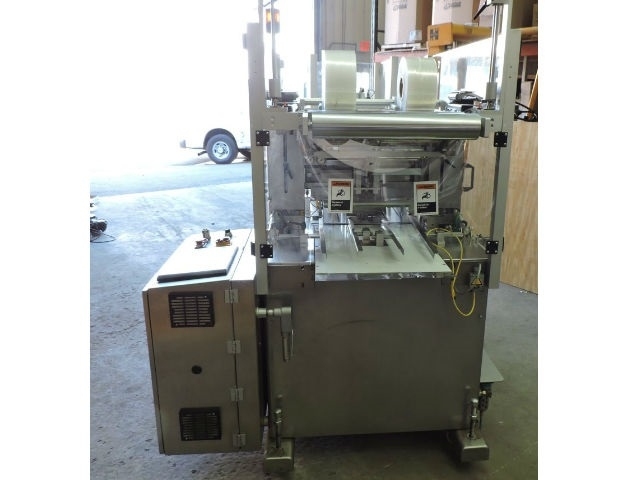 Production Specs: Max output: 16 packs/min Max product width: 550mm Max product height: 200mm Max seal width: 450mm Max infeed length: 275mm Delivery Time: Immediate.